Home to a myriad of life in all its forms, no land based eco-system manifests greater quantity or diversity than the jungle. 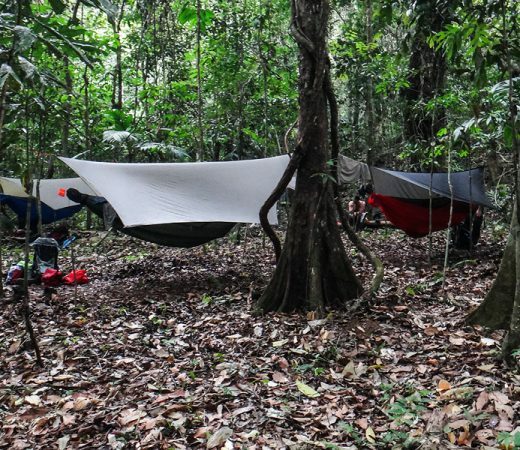 Plot and forge your own route across one of the most alluring yet inhospitable environments on Earth as you develop essential expedition planning and leadership skills to qualify as a jungle guide. 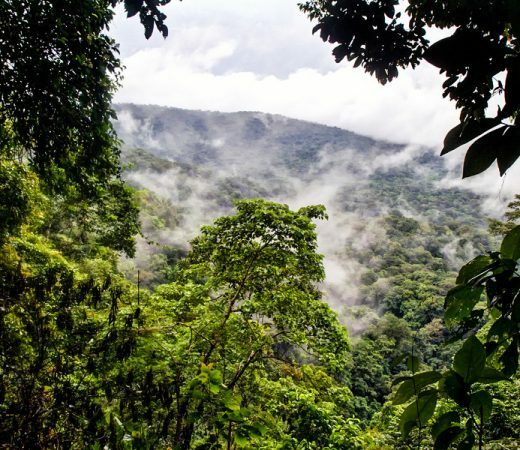 On this Adventure Academy expedition, the Panamanian Jungle is your classroom and the experienced local experts who call this region home are your teachers. Under the supervision of expert instructors, students will plot and follow their own route through this iconic tropical rainforest. Effectively negotiating humid jungle terrain, river-crossings, and tree-clad mountain ranges will all be part of the challenge as the team navigates its chosen route to the Caribbean coast. While start and end points of the expedition phase are predetermined, what unfolds in-between is up to you. Learn new skills to prepare for your own adventure, or expand on existing wilderness knowledge and qualify to lead your own jungle teams. For those seeking certified guidance and to qualify as recognised jungle leaders, this Adventure Academy expedition is the perfect challenge. Successfully completing this course will certify students by the Professional Association of Wilderness Guides and Instructors (PAWGI) as Certified Wilderness Guides, in the Central American Jungle Region (CWG-SA). This is an accelerated course and some restrictions apply, please see “The Course” tab for further details. 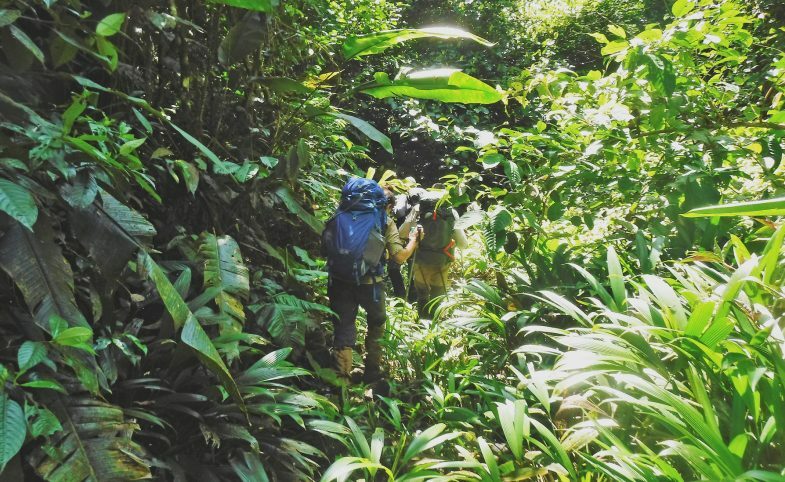 Alongside these learning objectives, this expedition also provides a fantastic opportunity for exploration in a varied, remote and unspoilt region of Panama bursting with life. 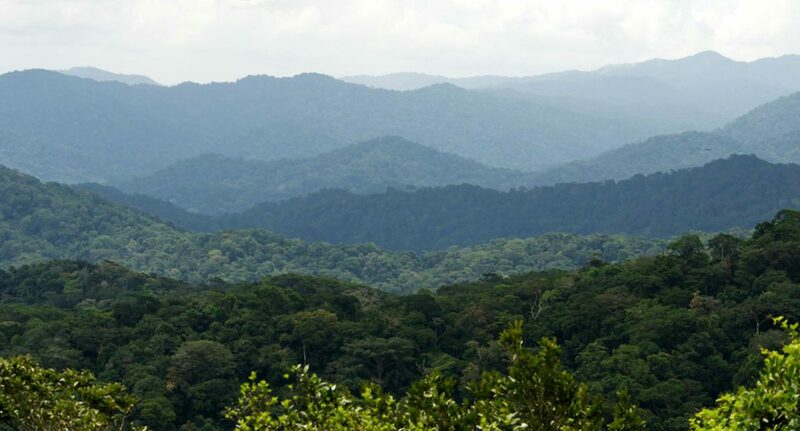 Comprising a mix of tropical rainforests and mountainous terrain, the Chagres National Park covers some 319,000 acres (129,000 ha) of land, located about 40 miles north of Panama City. 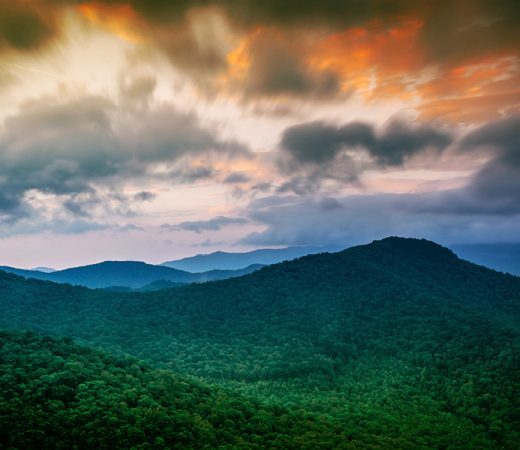 This iconic national park is home to an abundance of tropical plants and animals. 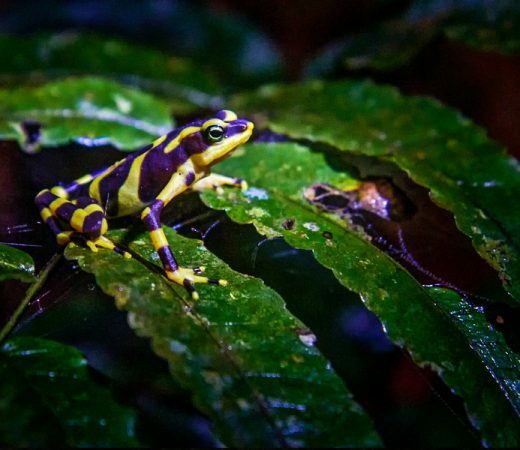 Over 900 plant species and 114 mammal species, including tapirs, whitetail deer, Geoffroy’s spider monkeys, and five species of big cats have all been identified in the region. Also calling the national park home are 396 known species of birds, including stripe-cheeked woodpeckers, red-legged honeycreepers, violet-capped hummingbirds, and harpy eagles. Additionally, there are 96 reptile species, 79 amphibian species, and 59 species of freshwater fish. Besides flora and fauna, the indigenous Embera tribe lives along the upper reaches of Lake Alajuela within Chagres. Portions of a trail once used by the Spanish to transport gold across the isthmus known as the Camino Real are still visible today. Various waterways snake their way through the national park, many of which now feed the world famous canal to the west. In 1914, the Chagres River was dammed to form the Panama Canal and again in 1935 to form Lake Alajuela. Today the water flowing from the park accounts for nearly 40 percent of the water in the Panama Canal and serves as an important source of drinking water for Panama City and Colón. 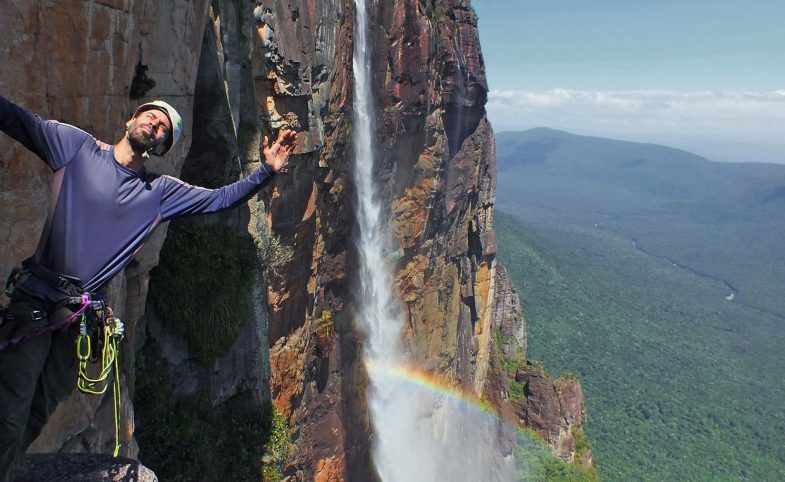 The Professional Association of Wilderness Guides and Instructors (PAWGI) is a not-for-profit organisation. Originally set up to ensure quality and consistency in wilderness guiding in Canada, it is now the only wilderness guiding association in the world to have formal partnerships with organisations in the Unites States, Canada, Europe and Africa, and certified guides operating around the globe. Within the PAWGI system students follow a linear progression of courses qualifying them for the roles of assistant guide all the way through to training instructors. The normal route for certification through PAWGI is to start with a Certified Assistant Guide (CAG) course, which is a theoretical course completed online. With increased experience and knowledge, qualified CAGs can then progress to Certified Wilderness Guide (CWG), Certified Specialized Guide (CSG), Certified Wilderness Instructor (CWI) and finally Certified Wilderness Instructor Trainer (CWIT) qualifications. This course has been specially designed for Secret Compass and approved by PAWGI. It allows students with no previous PAWGI qualifications to take an accelerated route to progress directly to a CWG-SA qualification (Certified Wilderness Guide – Central and South America) on successful completion of a 10 day combined training and assessment expedition. A CWG-SA is qualified to lead overnight and multi-day land expeditions in any tropical/jungle area of Central and South America. If you already have your PAWGI CAG qualification, then on successful completion of this course you will qualify as a CWG without the Central and South America restriction. If you already have your PAWGI CWG qualification then successful completion of this course will count as your Jungle (JUN) specialisation and can be used towards your CSG (Certified Specialised Guide) qualification. 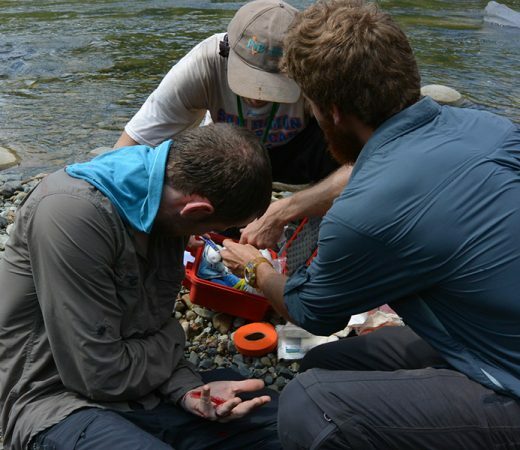 To attend the course you need to be capable of travelling in a remote region for the duration of the trek without external support, and therefore a base level of wilderness experience including unsupported multi-day trekking is essential. All students will share responsibility for navigation and route planning during the course, and there will not be time to teach basic compass skills. Students are therefore expected to be able to use a compass prior to joining the course and these skills should be learnt and practised as part of your preparation for the course. The course will also include a couple of short modules taught to students prior to the course through an online platform. These will cover knots and online weather forecast applications. During the course, students will be continuously observed by the instructors for the Wilderness Guide Practical Assessment, with a pass achieved by scoring 75% or higher. If your instructors do not feel you have reached the levels needed to achieve certified status you will not receive the full qualification, but you will receive a certificate of completion. On passing, students will be certified by PAWGI as Certified Wilderness Guides (CWG-SA), in the Central and South American Jungle Regions, and as such qualified to lead overnight and multi-day land expeditions in any tropical/jungle area of Central/South America (specifically limited to Belize, Costa Rica, El Salvador, Guatemala, Honduras, Mexico, Nicaragua, and Panama, as well as Brazil, Colombia, Ecuador, French Guiana, Guyana, Suriname, and Venezuela) suitable for their skill and experience level, excluding activities involving travel on glaciers or permanent snow, climbing, or the use of hands and body for balance. Because this is an accelerated version of the CWG-SA course, should students wish to advance to an International level of certification not restricted to the Central American Jungle Region, or advance further to Certified Specialized Guide (CSG) or above, completion of the Certified Assistant Guide (CAG) course is required as per PAWGI regulations. 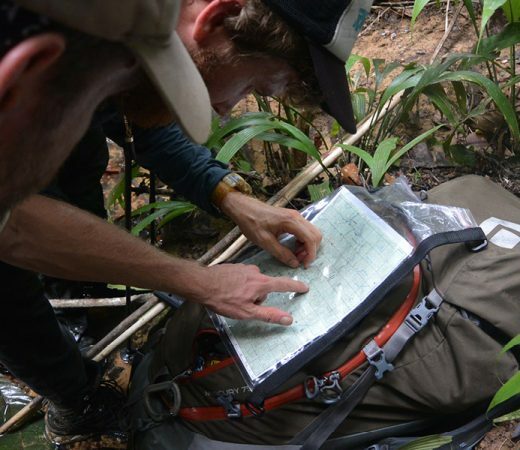 This intensive online course can be completed either before or after your upcoming Jungle field course, through an authorised training partner. Time taken to complete the course will vary but be aware it is a serious undertaking. If you are thinking about completing the CAG before your Jungle field course get in touch for details of discounts available to students of this course. Please refer to pawgi.org for further details on the PAWGI system, or speak to your knowledgeable course instructors. Secret Compass runs expeditions and courses with framework itineraries, rather than guided tours with set daily plans. Read more about our Approach here. The following is the outline plan for this course although coordinating the specifics will form part of the students’ training. A fuller itinerary is provided in the Handbook which is available upon request or application to join the course. Meet in downtown Panama City on the morning of June 2nd for day 1 of the course. Starting with a briefing on the plan and expedition safety, the course starts immediately with budgeting and meal planning as the team head out to arrange supplies for the expedition. Under the guidance of the course instructors all students will take on responsibility for buying in provisions for the course, working within recommended expedition guidelines and keeping to the budget set by your instructors (and paid for by Secret Compass). 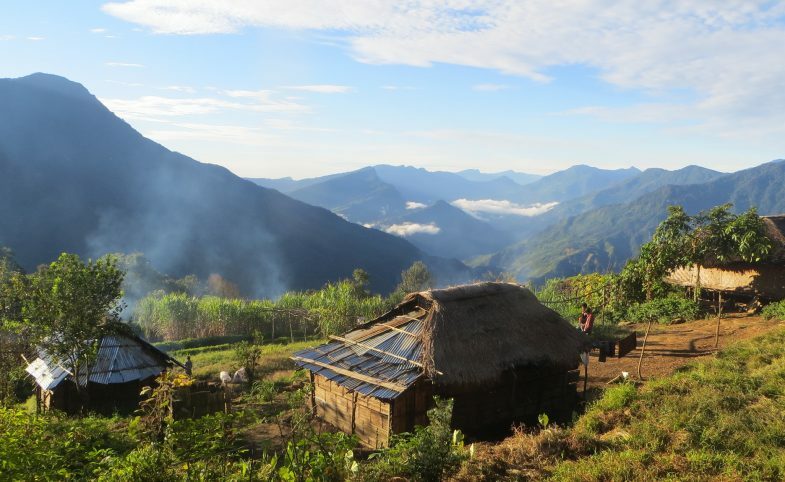 Once fully supplied, the team will transfer by road to the trailhead followed by a short trek to the first campsite. 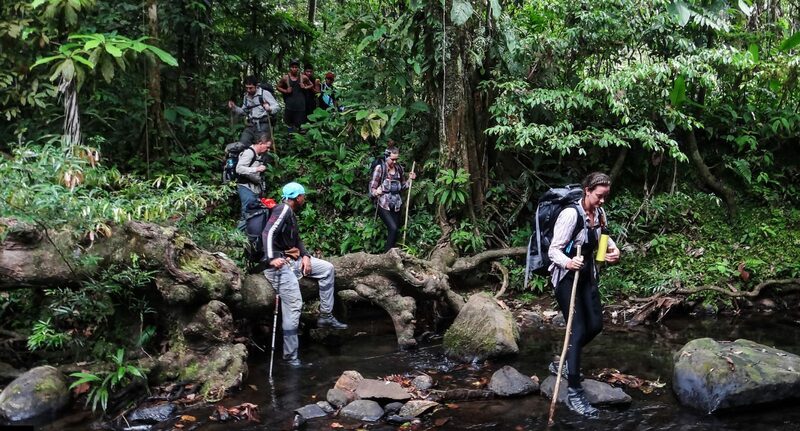 Over the next 10 days and nights students will acquire and develop survival, leadership and emergency management skills as they establish a route through the Chagres National Park, over Cerro Bruja before finishing on the Caribbean coast. While the start and end locations are pre-determined, the route itself is not. Instead the exact route will be chosen by the students during the course with the aim of applying newly acquired expedition planning and navigational skills. During evenings and en-route will be the opportunity to discover natural history and learn the cultural context which surrounds this journey. For more details on the course objectives and qualification, please see “The Course” tab. After successfully navigating your way out of the jungle you’ll be transported back to Panama City. It is expected that the team will be back in Panama City on the evening of 14 June. In case of delays, you should not book outbound flights/transport out of Panama City until the next day (15 June). Secret Compass expeditions and courses are achievable by anyone with a healthy lifestyle and a good level of general fitness. The course itself has some pre-requisite skills (see “The Course” tab), and in addition you need to be capable of travelling in a remote region for the duration of the trek without external support and be comfortable with the fitness requirements below. Students should be willing to work together towards the qualification requirements and have an adventurous and robust spirit. Prior to departure, students must be comfortable with the following. Terrain: expect boggy, wet and close tropical rainforest and river crossings. It can be hilly with a maximum elevation of 1000m. Climate: a hot, humid jungle environment. Swim: River crossings will be an unavoidable part of this course and as such you need to be able to swim. View Secret Compass’s suggested Expedition Training Advice and get in touch with any fitness, health, training or kit questions that remain. Students who arrive without meeting the agreed minimum fitness requirements can jeopardise themselves and the course’s goals so do take training seriously, prepare as appropriate and arrive fit and ready to go! Professional Secret Compass expedition leaders who are PAWGI Certified Wilderness Instructors. Full communications kit and group medical kit. Support and teaching from local jungle experts. Hammocks and shared cooking equipment. All food during the course (from lunchtime on day 1 till lunchtime on day 12). International flights/ travel to and from Panama City. Accommodation and meals in Panama City. On application, potential students will receive a detailed Expedition Handbook. Here are some course-specific questions and our general FAQ will answer many other questions. Get in touch if your question remains unanswered. Yes. Your instructor is a certified PAWGI (Professional Association of Wilderness Guides and Instructors) instructor. During your time in the jungle you will be continually observed and assessed on the skills that you have learnt. If your instructors do not feel you have reached the levels needed to achieve certified status you will not receive the full qualification, but you will receive a certificate of completion. All meals are included during the course. Please advise us on booking if you have any special dietary requirements.